Game mode is where you show off your mad rhythm tapping skills. 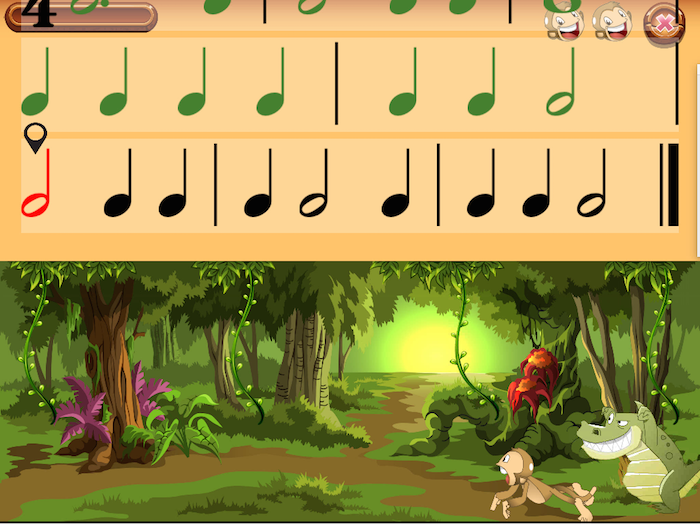 Guide your monkey through the trees, overtop of the hungry crocodile. Keep tapping correctly and you’ll make it to safety. But one wrong tap and he’s in for a nasty fall. And after three errors- our monkey friend turns into an appetizer and YOU become the main course!